At Primo’s, the new bar in The Frederick Hotel, the self-taught model turned designer proves that style is in the details. 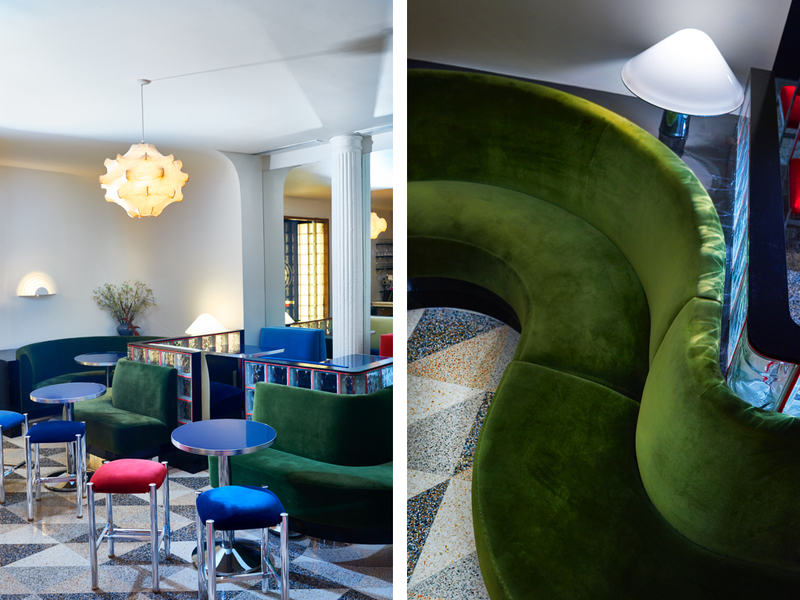 The newest bar to descend upon Tribeca has an Italian riviera resort vibe dreamt up by an unlikely designer. Housed within The Frederick Hotel, the space—Primo’s, which opens May 1—is spearheaded by Aisa Shelley, who brought in 27-year-old Camilla Deterre to oversee its interiors. 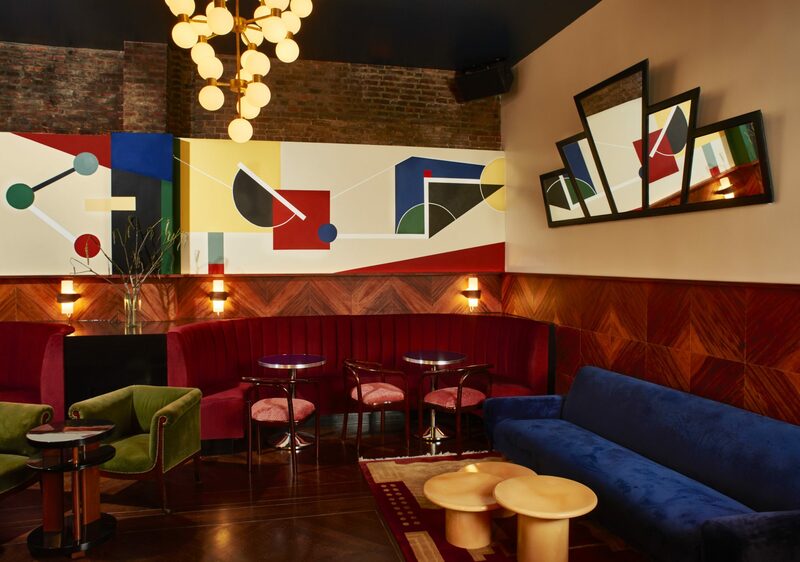 That the model turned photographer turned designer was selected over more established industry names is a testament to the bar’s playful spirit—and to Deterre’s sharp eye for detail. “We have these hyper-curated spaces we’re all living in, but I think it’s nice when things are a little bit off,” she says on a walk-through of Primo’s. Inspired by art deco, the midcentury resorts of the Italian Riviera, and the Italian Radical Design of the 1970s, Deterre meticulously sourced vintage pieces that reflect the slightly off-kilter vibe she prefers. 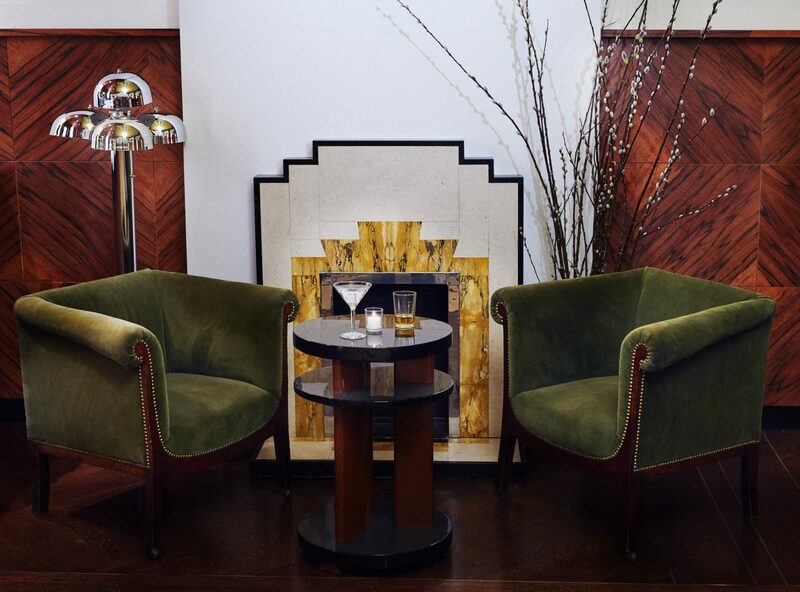 Outfitted with minimalist mirrored tables, 1960s chrome chairs, and sinuous banquets upholstered in a signature cotton velvet from Schumacher, the front room has a casual atmosphere that gets a burst of drama from a marble bar ornamented with Achille Castiglioni’s organic Cocoon pendants. The back room is moodier, reminiscent of a gentleman’s smoke room. Here, the booths are deep-red and the fixtures more daring: a bubble-like 1970s Stilnovo chandelier and an ornate mantelpiece provide contrasting focal points that somehow complement each other. Though the design is strong, the big picture never eclipses the small moments. Bold gestures, such as a triangular checkerboard of terrazzo tiles, are anchored by more subtle flourishes, from thin chrome inlays in the parquet flooring to red grout for the glass-brick walls. “I fought really hard for that red grout to be there, and now it’s hard to imagine it being any other way,” Deterre says. 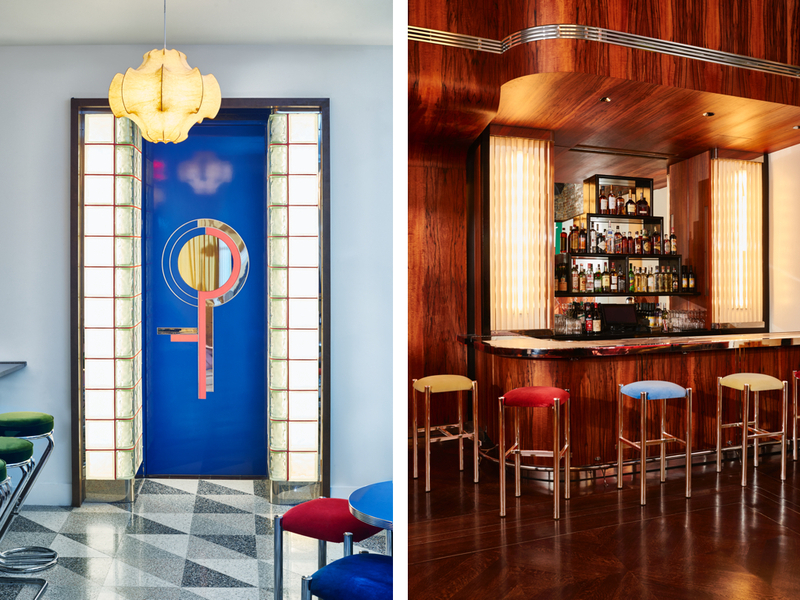 When designing, the largely self-taught Deterre (who previously designed the French bistro Mimi and worked a brief stint at Roman and Williams before focusing on Primo’s) looks far and wide to find the right fit, sometimes in unusual places. “I looked everywhere for the right wood, and it turned out that the kind they use in drum kits had the graphic quality I was looking for,” she says of the butterflied Tineo wood cladding the back room walls. Finding the right object is often just the start of her approach. “It’s not just me saying, ‘I like this bench,’” Deterre says. “It’s more important to know why I like this bench. From there, it’s a process of unpacking and repackaging,” she explains, with the goal of making objects feel relevant and meaningful in their new context. At Primo’s, the result breathes life into a historic space. Get your cameras ready.